Finance Ministry\'s economic report card today asked the Centre to use constitutional powers to end monopoly of wholesale markets. NEW DELHI: As the government blames hoarders for the recent spurt in food prices, the Finance Ministry's economic report card today asked the Centre to use constitutional powers to end monopoly of wholesale markets and replace coercive state laws affecting the food market. The state APMC ( Agricultural Produce Marketing Committee) laws are a major hurdle to modernisation of the food economy as they have artificially created cartels of buyers who possess market power, the Economic Survey said, adding that high cost of intermediation have a cascading effect on prices. "Parliament has the power to legislate a national market under the Constitution, which gives it the ability to legislate the freedom to buy and sell, for farmers and traders across state lines. This law can override state APMC laws and restrictions that have been placed on the farmer's right to sell food within and outside the state," the Survey said. Under such a law, APMCs would become one among many trading venues in a competitive market. The Parliament can also legislate the creation of a Commission that monitors anti-competitive practices across the country. "To create a national market the central government needs to use powers under the Union List and the Concurrent List of the Seventh Schedule of the Constitution to end the monopoly powers of the APMCs and replace other punitive and coercive state laws affecting the food market," the survey suggested. With a spurt in prices of essential food items like onion and potato, the Centre has been asking states delist fruits and vegetables from APMC Act and has also decided to amend laws to make hoarding a non-bailable offence, among others. The Model APMC Act 2003 is an inadequate solution as APMCs remain a non-level playing field, it said. Model law, which was circulated to all states for adoption, failed to address monopolistic and uncompetitive practices in inter- state trading of agricultural products. Some states have introduced barriers to trade within the country through taxation and technical requirements. The Essential Commodities Act 1955, an enabling Act which gives powers of intervention to states, is incompatible with an integrated competitive national market for food. 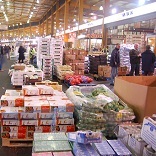 hese include permitting sale and purchase of all perishable commodities such as fruits and vegetables, in any market. This could later be extended to all agri produce. The Survey also pitched for exemption of market fee on fruits and vegetables and reduction of the high incidence of commission charges on agricultural/horticultural produce. "The key to investment and productivity growth on the farm is liberalization of agriculture...Farmers must have the same economic freedom, to buy and sell their produce, as do other producers," it said.